Gas Storage Poland Sp. z o. o. In order to meet legal requirements concerning the obligation to assign a storage system operator, PGNiG S.A. has created a special purpose vehicle company under the name of Gas Storage Poland sp. z o.o. (GSP). Its core field of activity is performing tasks of a storage system operator. 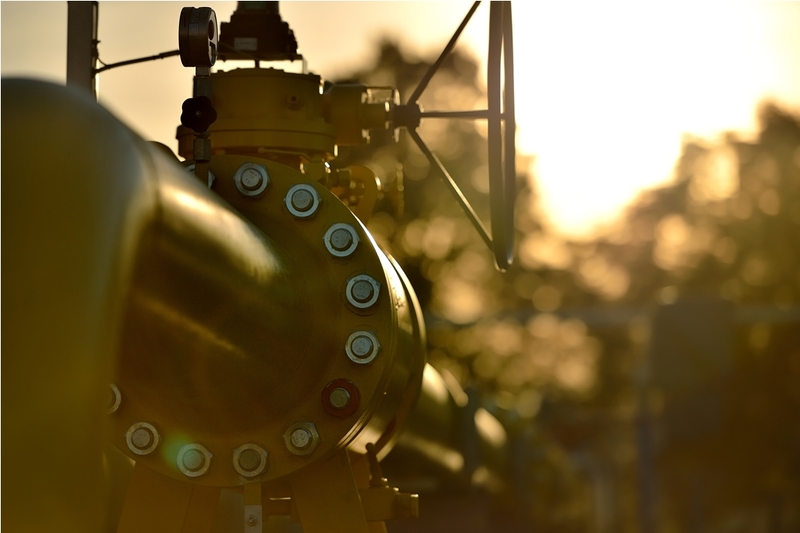 The company provides volumes and capacities of storage facilities that meet the needs of the gas storage market participants, at the same enabling the optimal use of these facilities. A graduate of the John Paul II Catholic University of Lublin (KUL), the University of Gdansk and the Silesian University of Technology. A holder of an MBA degree from the IAE Aix-Marseille Graduate School of Management and post-MBA affiliated by the Swiss Business School. A manager with many years of business experience in the gas and energy industry. 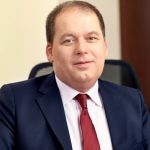 In his professional career he served as: Branch Director of the Gas Transmission Operator GAZ-SYSTEM, Chairman of the Board of the Lower Silesian Gas Company and Chairman of the Board of NYSAGAZ. In the years 2000–2007, he managed the implementation of investment projects of strategic importance for the region of south-western Poland and the transmission system of the country. The projects’ aim was to ensure appropriate conditions for gas imports from Germany and Norway. In the years 2008–2015, he managed nationwide energy projects aimed at providing heat and electricity based on cogeneration sources. In his management practice he was in charge of both regional gas infrastructure (in the area of Lower Silesia and Lubuskie Voivodeship) as well as distributed energy infrastructure in eight voivodeships (generating electricity and heat from natural gas). He completed large gas investment projects. Proposer of many modern management techniques and structural and functional solutions in the gas industry. Appointed as Chairman of the Board of the Gas Storage Poland sp. z o.o. (former Storage System Operator) on 23 December 2015. She is a manager with more than 20 years of business experience in the gas and energy sector. 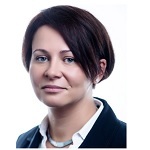 In her professional career she performed the following functions: Corporate Energy Head in Grupa Azoty S.A., Head of Liquid Fuels and Natural Gas Office of TGE S.A. and Chairman of the Supervisory Board of InfoEngine S.A. Since 2008, she has also been running her own business, supporting the implementation of development projects in the energy sector. In the years 2013-2017 she chaired the Gas Market Committee at TGE S.A. In 1997-2007, she was employed by PGNIG S.A. and was responsible for the development of methodology and calculation of tariffs for gas supply, transmission and storage. She is an active member of numerous associations, among others, the Vice-Chair of the Electricity Consumers Forum, Vice-Chair of the Council of the Chamber of Industrial Power Generation and an ordinary member of the Association of Energy Trading. She participates in the works of expert task forces established at the Chamber of Gas Industry, the Warsaw Commodity Clearing House and the Association of Energy Trading. On 25 March 2013 Gas Storage Poland sp. z o.o with its registered office in Debogorze adopted and implemented "The Programme for Ensuring Non-Discriminatory Treatment of Storage Facility Users (The Compliance Programme)". The purpose of the Compliance Programme is to ensure equal and non-discriminatory treatment of the users of storage facilities. Gas Storage Poland is a company for which a statement that employees are its most important asset is not an empty statement. We comply with all obligations that employers have towards employees. We particularly care about the working atmosphere. When we employ people we pay attention not only to their qualifications but also to their personalities. GSP recruitment process is designed in such a way that is friendly to all candidates. Even if it is not successfully completed, we attempt to deliver a valuable and interesting experience to our candidates. “I consent to the processing of my personal data by Gas Storage Poland sp. z o. o. during the recruitment process”. People are the most important asset of GSP. We make every effort to ensure that our employees develop and constantly improve their qualifications. In order to achieve that, we organize regular training sessions. Specialist training courses (expert) – almost every single aspect of life is subject to systematic changes, new problems appear and innovative solutions are being introduced. Understanding the innovations results not only in following them, but above all, it is a guarantee of effective performance of everyone’s duties. Specialist training courses are specifically designed to relate to the type of work performed. They aim at deepening knowledge of workers on topics directly connected with their duties. General development and management training courses – people spend more than half of their active life at work. We believe that during all that time spent at work everyone should develop something more than their professional skills. It is important for the work to provide not only financial security, but also a sense of satisfaction and the room for creativeness so that we can develop not only as workers but also as humans. General development trainings serve that function. Among others, they develop social skills, personality (including assertiveness) and let people understand each other to a greater extent. JOIN US! New challenges and creative projects are waiting for you. Do you want to find out more? Contact our HR department by writing to one of the following e-mail addresses. Gas Storage Poland Sp. z o.o. (GSP) is a 100% subsidiary of Polskie Górnictwo Naftowe i Gazownictwo S.A. (PGNiG). It was established in November 2010 in order to allow PGNiG S.A. to adapt a business structure for gas storage to the independence requirements of storage system operators referred to in the Directive of the European Parliament and of the Council 2009/73/EC of 13 July 2009 concerning common rules for the internal market in natural gas (Directive 2009/73/EC). According to the above requirements, a storage system operator, which constitutes a part of a vertically integrated business undertaking shall be independent, at least in terms of its legal form, organization and decision making ability, from other types of activities not related to the transmission, distribution and storage. The Company has acted as a storage system operator since June 1st, 2012. The activity of a storage system operator is conducted on the basis of relevant administrative decisions – i.e. the decision of the President of the Energy Regulatory Office (Urząd Regulacji Energetyki) of May 16th, 2012 (as amended) on granting a license to OSM for storage of gaseous fuel in storage facilities for the period from June 1st, 2012 to May 31st, 2022 and the decision of May 22nd, 2012 (as amended) on the appointment of the Company to perform a function of a storage system operator for the period from June 1st, 2012 to May 31st, 2022. The concession includes the following Underground Gas Storages (UGS): UGS Husów, UGS Wierzchowice, UGS Strachocina, UGS Swarzów, UGS Brzeźnica, CUGS Mogilno and CUGS Kosakowo. On July 1st, 2013, the merger of OSM and Investgas S.A. occurred. Pursuant to art. 492 paragraph 1 point 1 of the Commercial Companies Code it was a merger by acquisition, in which OSM was the acquiring company. After the merger, OSM is also active in the field of design and construction of underground gas storage facilities in salt deposits and offers a wide range of services related to the gas industry, fuel and energy, as well as the construction industry. On October 4th, 2016, Operator Systemu Magazynowania Sp. z o.o. (OSM) changed its name to Gas Storage Poland sp. z o.o. (GSP).